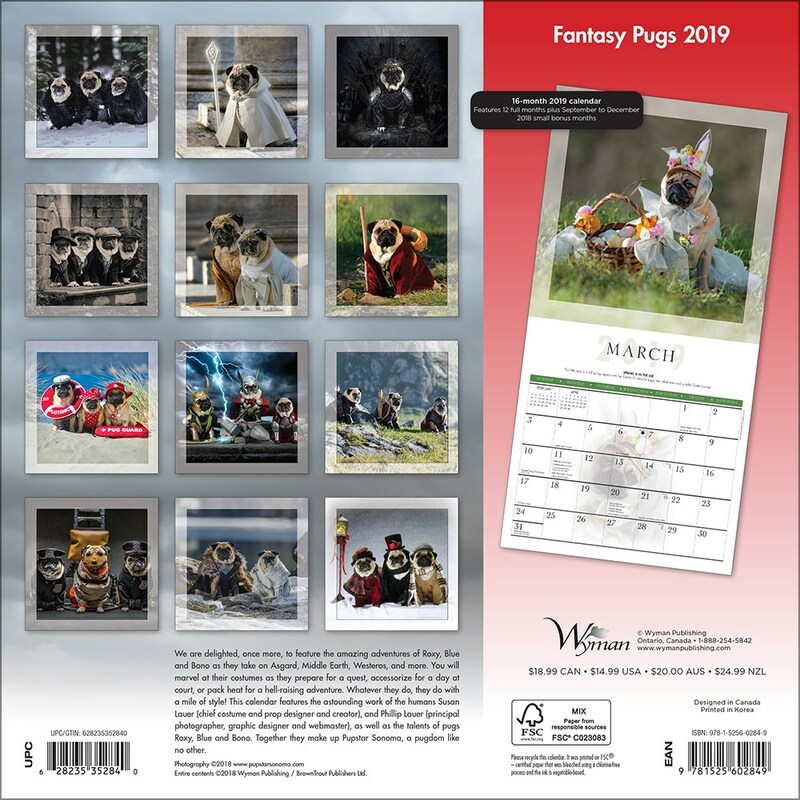 Venture to the far reaches of the fantasy world with this awesome 2019 calendar. 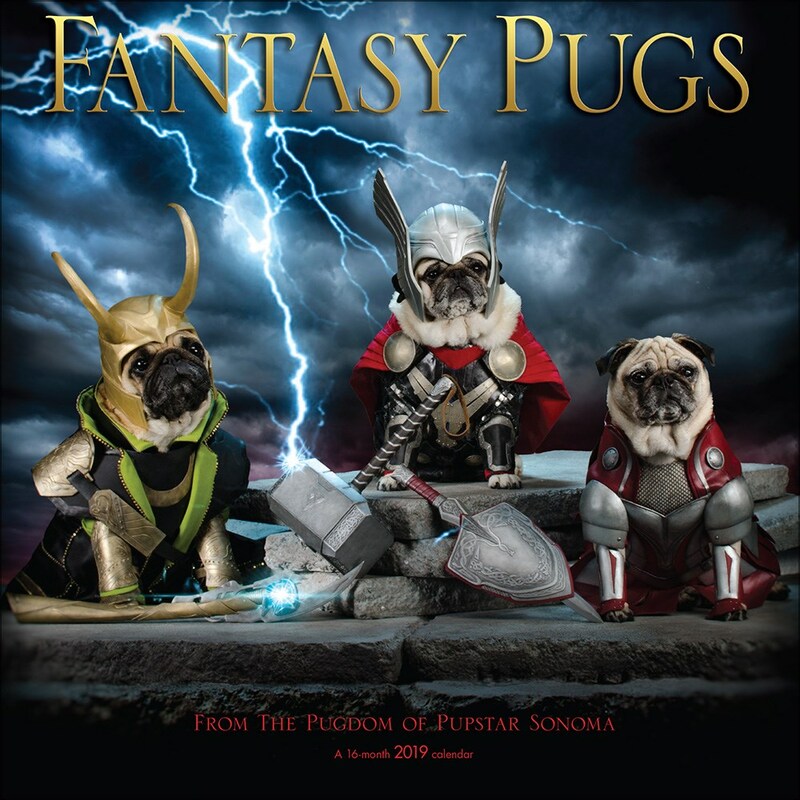 From Westeros to Middle Earth and beyond, these costume wearing pugs are dressed for any occasion, even a spot of lifeguarding. 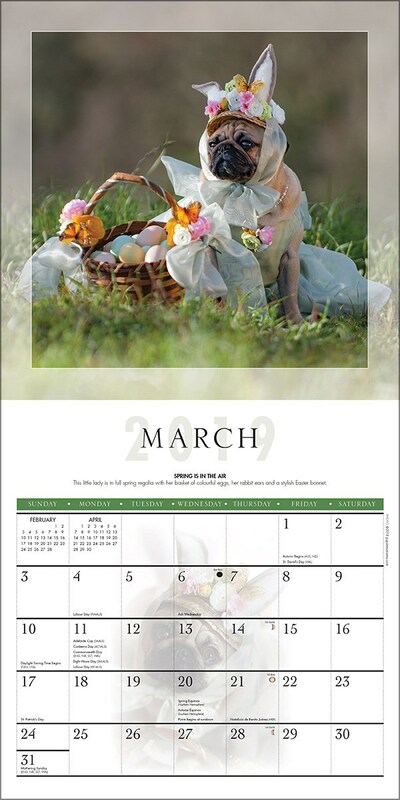 Don't Pug-et about your important dates with this fun and quirky calendar hanging on your wall.